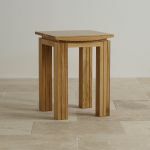 The Tokyo Natural Solid Oak Lamp Table stands on elegantly grooved legs and exhibits the signature shallow bow effect that has made this such a highly sought-after range. 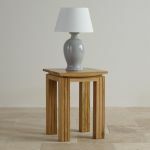 Standing at 60cms tall, 45cms wide and 45cms deep, it's spacious enough to hold a good sized lamp and would make a superb end table next to the sofa. 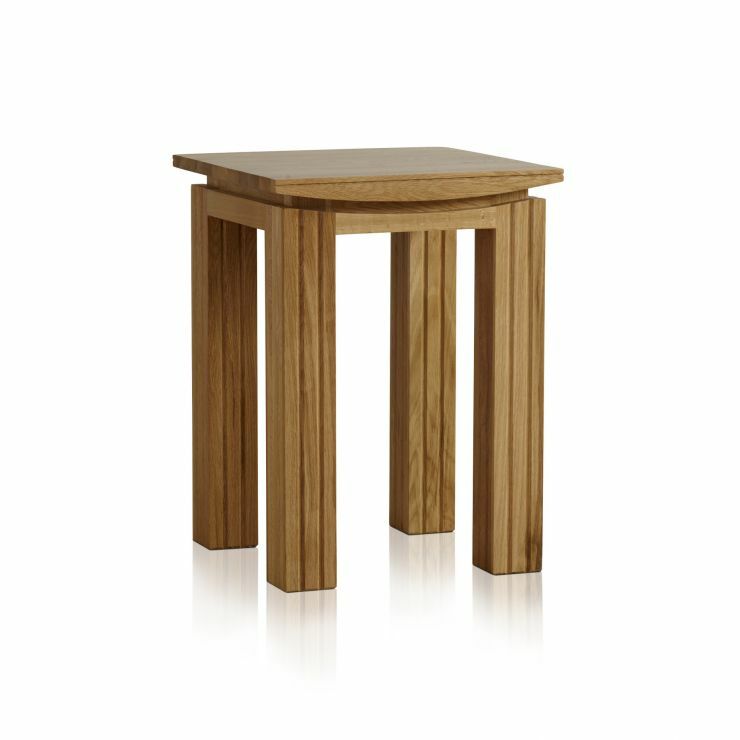 Made from premium solid oak timbers it is finished with nothing but clear furniture wax, to enhance the grain and accentuate the wonderful golden hues. 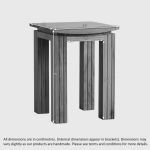 We only ever use the finest materials in our products and we never use chipboard, MDF or veneers because only hardwood can meet our exacting standards of quality. 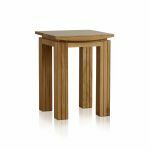 Browse the rest of the Tokyo Solid Oak range and discover perfectly matching pieces of living room, dining room and bedroom furniture.